Kylie and I wrapped up our second Bible mini unit today. We learned all about Noah! 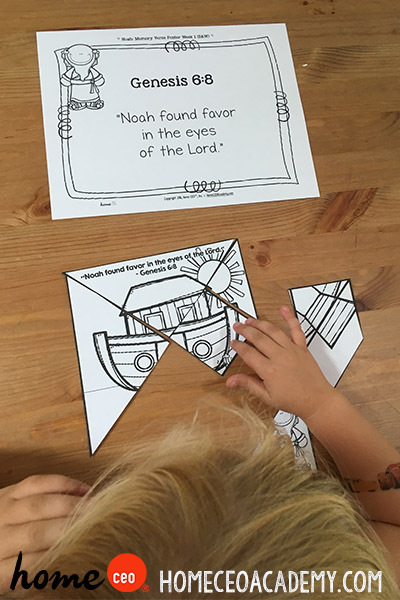 We started our lesson off with a tangram puzzle of the ark and our memory verse. Kylie's Oma was in town visiting and helped out with the second lesson. 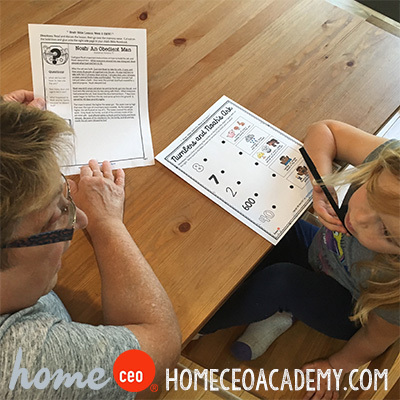 The two of them read the paraphrased story and then reviewed the numbers on a worksheet. Kylie was in disbelief when Oma read that Noah was 600 years old when he got on the ark! We ended the unit with a model prayer and a sequencing game that can be stored in our Bible notebook. 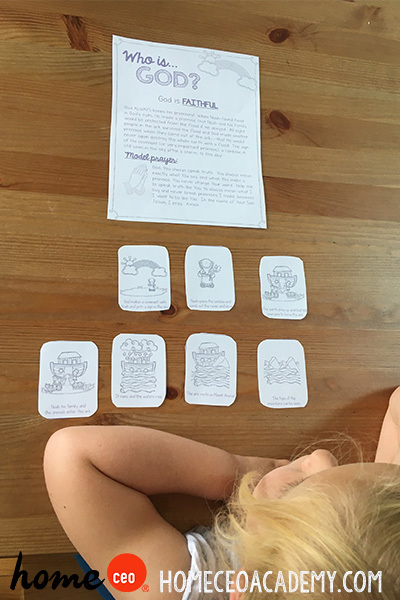 These Bible mini units have been a fun way of introducing the story of God to Kylie. They are included in our full year 3-4 year old program, and are available to purchase individually at our TpT store.